I love National Geographic, including their magazines, books, and DVDs! My boys and I recently had the opportunity to review National Geographic Little Kids. I loved the smaller magazines and my boys really enjoyed reading through them. The pictures and information were wonderful, plus I loved the trading cards found in each of the magazines. I can definitely see myself purchasing a subscription to National Geographic Little Kids for my boys! National Geographic Little Kids is aimed at preschoolers ages 3 to 6 and their parents. This magazine is for young explorers, packed with teaching tools to help parents inspire a love of learning in their children. The Association of Educational Publishers chose National Geographic Little Kids for its highest award, the Golden Lamp, in 2008 and named the magazine Periodial of the Year in 2008 and 2009. National Geographic Little Kids also won a Parents’ Choice Gold Award for 2008, 2009, and 2010. National Geographic Little Kids is filled with lively photographs and engaging stories, which help develop prereading and early reading skills. The magazine also includes interactive picture games and puzzles to teach logic and counting, plus each 24-page issue contains fresh and imaginative instruction tools. You’ll enjoy captivating animal stories, answers to questions on kids’ favorite topics, features on different cultures to inspire a sense of understanding about the world, plus interactive experiments to introduce simple science. Each issue also includes a set of six wild animal cards. I love that National Geographic Little Kids is a perfect size for little hands, measuring at approximately 6 1/2″ by 7″. The subscription is available for only $15 a year (six issues; international subscription cost varies) and on newstands for $3.99 a copy. 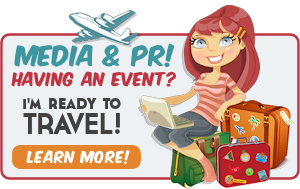 Explore more online! Go HERE for a subscription to National Geographic Little Kids. I was VERY impressed with National Geographic Little Kids and would love to purchase a subscription in the future. It is a wonderful magazine and one that my boys really enjoyed reading! Thank you for a wonderful magazine National Geographic!!! 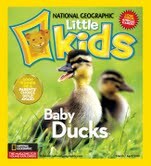 1 lucky reader on The Mommy-Files will win a copy of the latest National Geographic Little Kids Magazine!!! Visit National Geographic online and tell me in a comment something you learned or another product you like! – Contest will close at 11:59 p.m. PST on Monday, May 17th, 2010! Any entries after this time will be deleted! I received a few copies of National Geographic Little Kids as part of a campaign through Family Review Network to facilitate this review. All opinions expressed in this post are 100% mine. I learned the magazines have science experiments and recipes for the kids. I’d love to win this for my 5-year-old nephew. He loves animals (he’s big into animal rescue) and I think he’d love to get his own mail. I visited the site and saw that they have Animal Printable coloring pages, which will come in handy when my nieces and nephews are over for the afternoon. I see that they have Animal Printable coloring pages. my girls love the coloring pages they have on the site. I like the National Geographic Kids Almanac! my two sons loved the animal print outs to color! The National Geographic Kids Almanac looks very interesting!